I finished this last night. I’m happy with the loose brushstrokes and the color. The Alumni Triennial: a group exhibition at North Park University. Included in the show are three sets of the paintings where the three of us painted together. There’s also excellent and interesting work by many other North Park alums, which I’m looking forward to checking out in a few days. We plan to be at the reception – check out the show if you can! 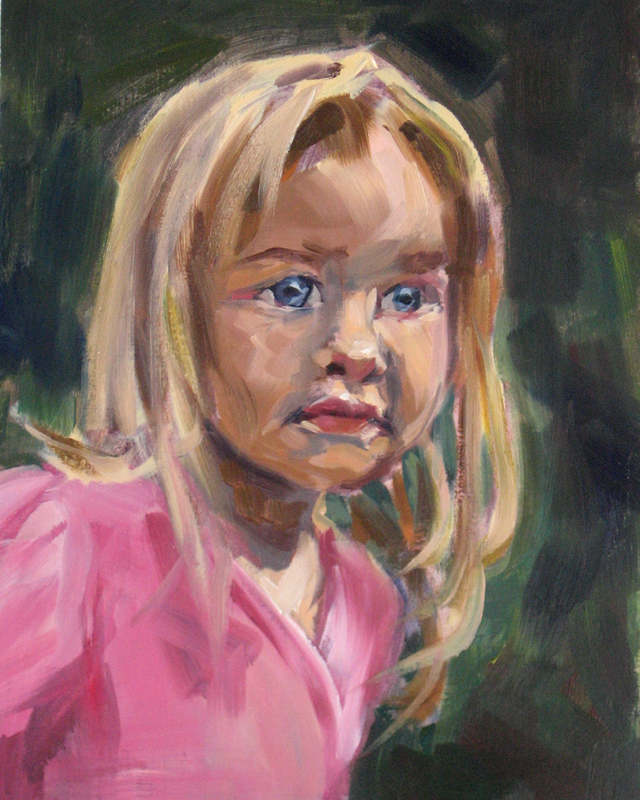 This entry was posted in oil, Painting with children, portrait and tagged brushstrokes, Carlson Tower Gallery, children, daughter, gallery, oil, oil painting, painting, painting with kids, portrait, show, water soluble oils, weekly painting.